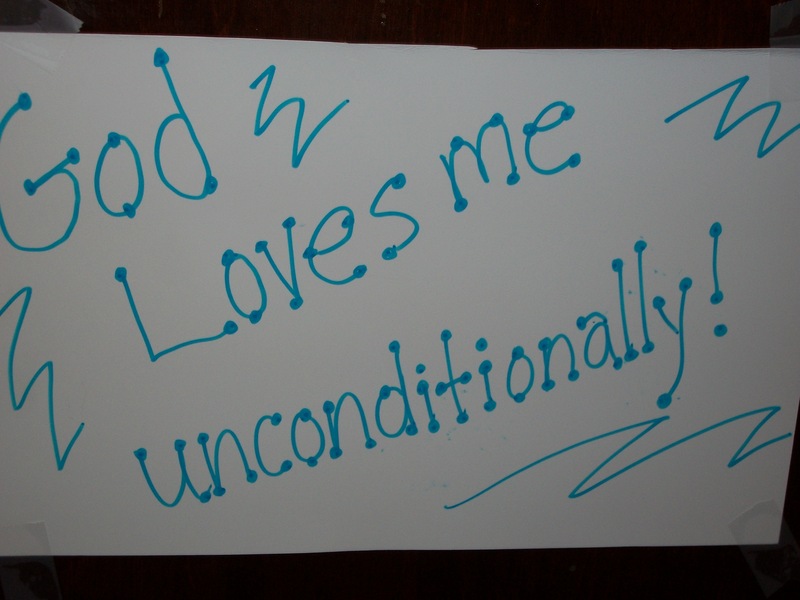 Power Thought #2: God Loves Me Unconditionally! The second Power Thought is this: God loves me unconditionally! 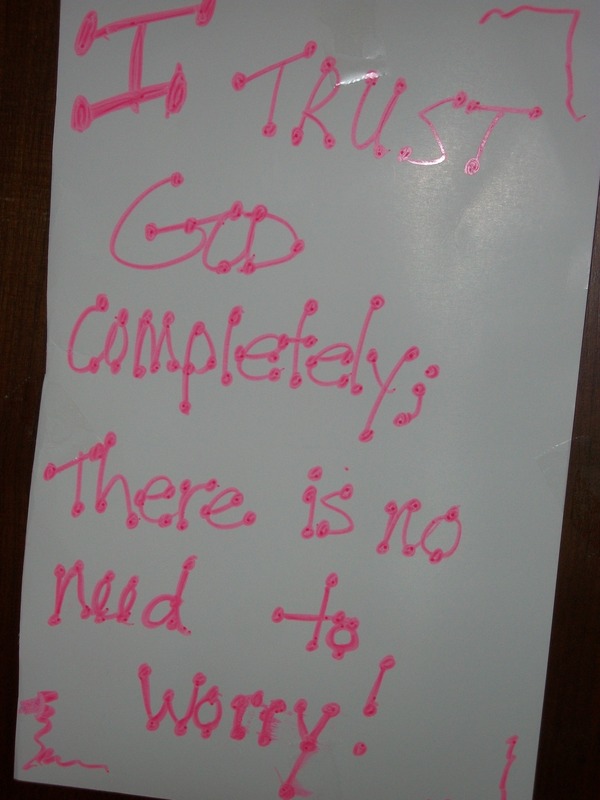 Do you believe that God loves you unconditionally? 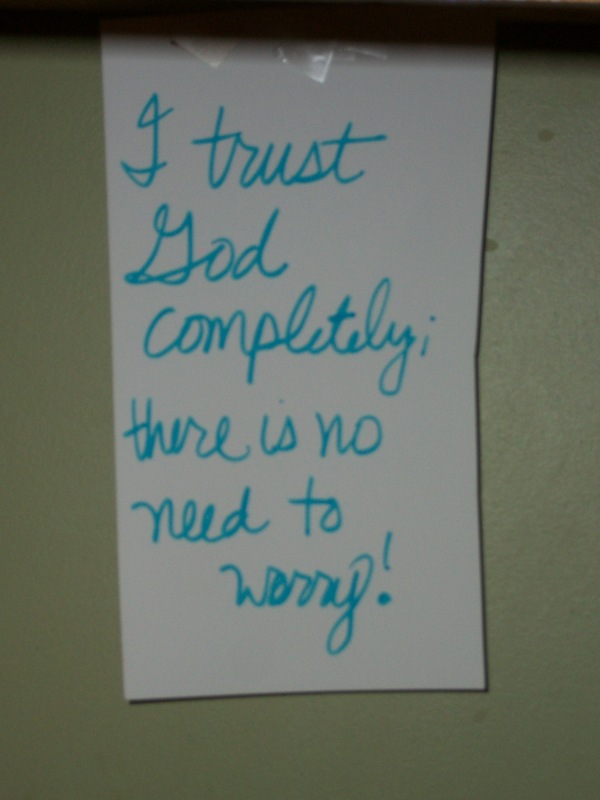 I tend to answer this with a “yes, but…” I need to simply realize and believe that God does love me unconditionally. He loves you unconditionally, too. He doesn’t love us less when we fail, mess up, or show our weaknesses. He knows that we have weaknesses. When we accept and rejoice in his unconditional love, it is much easier to move toward positive change and right behavior. If we try to earn His love by being good and doing everything right, we set ourselves up for an unending cycle of frustration and never measuring up. When we accept Jesus as our savior, God sees us as Jesus is—righteous and pure, His holy children. 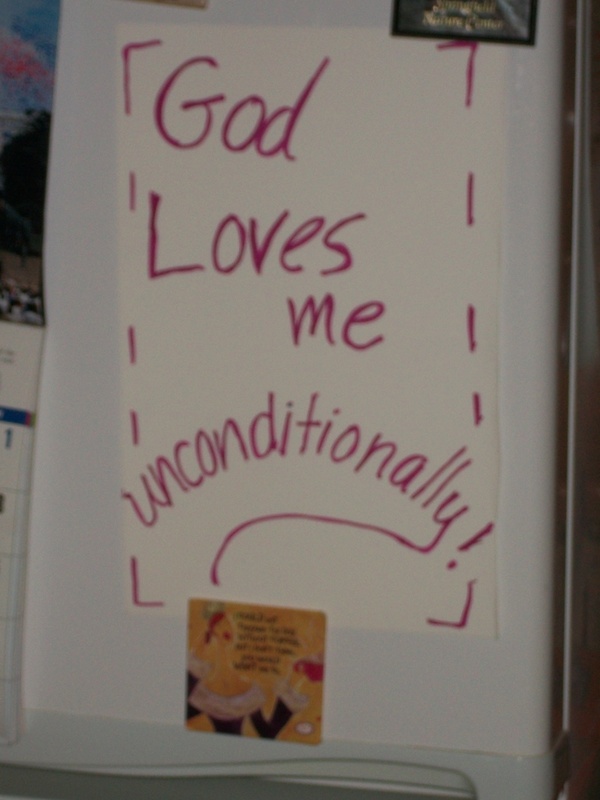 This week, I am meditating on the fact that God loves me unconditionally. 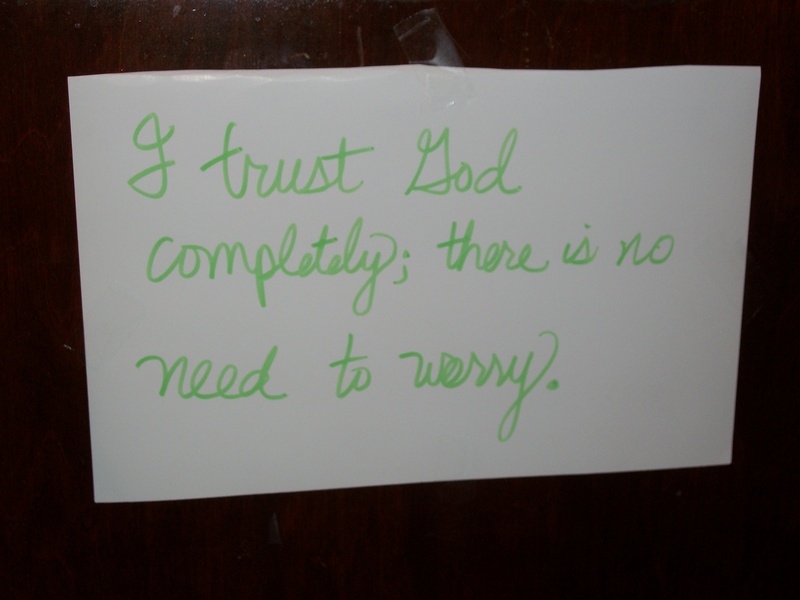 I have posted signs around the house to help keep this Power Thought at the forefront of my mind—on everything from the fridge to the top of my coffee maker! Normally, I don’t spend a lot of time thinking about how much God loves me. My human tendency is to focus more on the ways that I disappoint him. Now, several times throughout the day, I am saying the Power Thought and reminding myself that I am precious and special to God. This thinking transforms an ordinary day into a day to notice all of the signs of God’s goodness and blessing to me.